India might receive its first batch of ten Kamov-226T light multirole helicopters this year, Russia’s sole rotorcraft designer, Russian Helicopters Group, part of the state-owned Rostec corporation, said in an August 29 press statement. 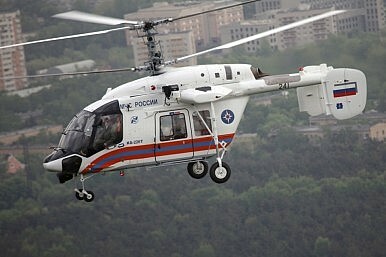 “We are planning to deliver the first batch of 10 Kamov-226T helicopters after we receive the first payment. We are discussing with the Defense Ministry of India when the first payment will be made. We hope that this will be done this year,” the statement reads. Indian Prime Minister Narendra Modi and Russian President Vladimir Putin signed a government-to-government agreement for the procurement of 200 Kamov-226T in December 2015. However, major obstacles to a successful execution of the agreement emerged almost immediately. The statement above does not elaborate whether India and Russia have succeeded in overcoming their disagreements and whether the delay in payment is a result of some unresolved issues. For example, it became very quickly clear that Russia had difficulties meeting the 5o percent indigenization (technology transfer) clause stipulated in the contract as part of Indian Prime Minister Narendra Modi’s “Make in India” initiative. One of the major problems appears to be that Moscow has only accepted to indigenize Russian components of the light multirole helicopter, assembled by Russia’s sole rotorcraft designer Russian Helicopters. However, for example, the helicopters twin Arrius 2G1 engines (…) constitute one third of the aircraft’s costs–are made by French helicopter maker Turbomeca. Various other component parts of the Kamov-226T have also been imported by Russian Helicopters from abroad, all of which would not fall under indigenization requirements outlined in the contract. According to Russian Helicopters CEO Andrei Boginsky, the HAL and Russian Helicopters are still in talks with French aviation company Safran about the terms for the transfer of technologies. “From our side, we are ready because it is necessary to make a roadmap and it depends on HAL,” Boginsky told Indian media. Consequently, it appears that Safran still has to agree to the transfer of sensitive helicopter technologies to Indian manufacturers. Boginskly, however, is already optimistic about a follow-up order. “There is a possibility to increase the number of helicopters to more than 200 in future. The Indian Army needs this kind of helicopters. So both governments agreed to 200, but the partnership has an option of increasing the number. We have made a naval version of KA-226T and we are ready to offer that to India,” he added. The Indian Ministry of Defense plans to procure up to 600 new light helicopters in the coming years.